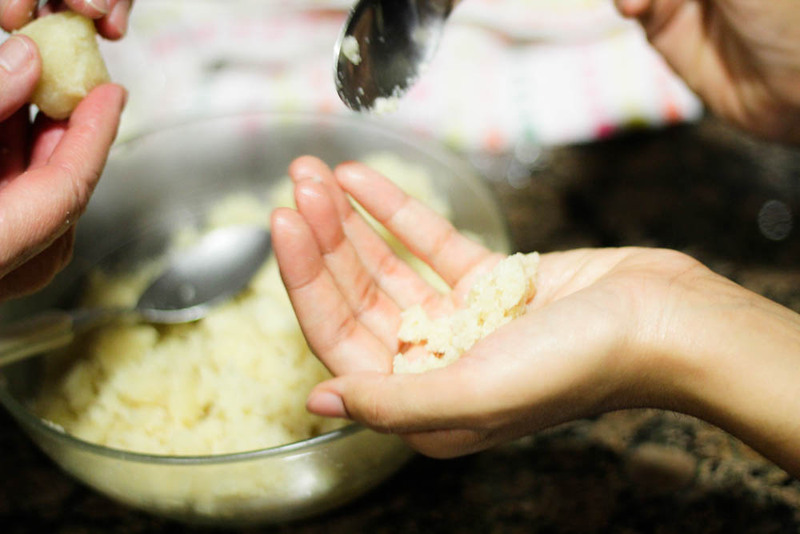 In a medium-large bowl mix the almond flour, sugar and mashed potato with your hands until you have a really uniform and manageable dough. 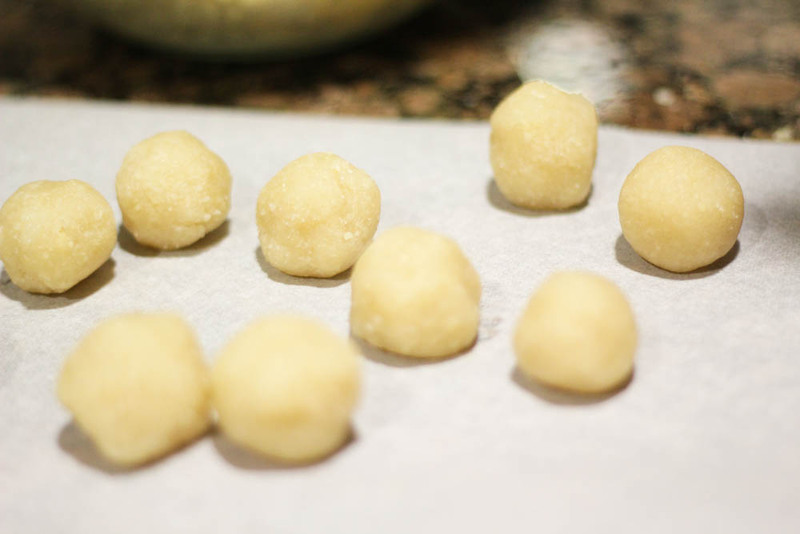 Use that dough to make small balls (think small meatball size). 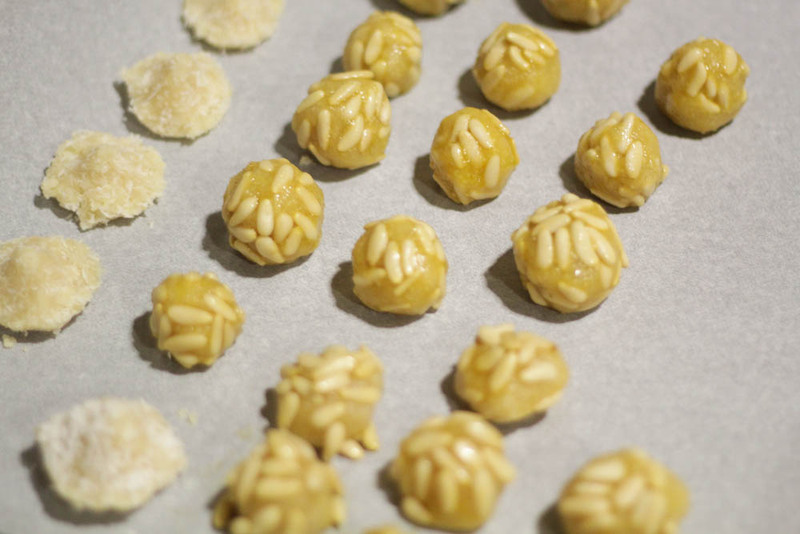 Use just half of the dough to make the pine nuts panellets, you’ll use the other half to make the coconut and membrillo ones. 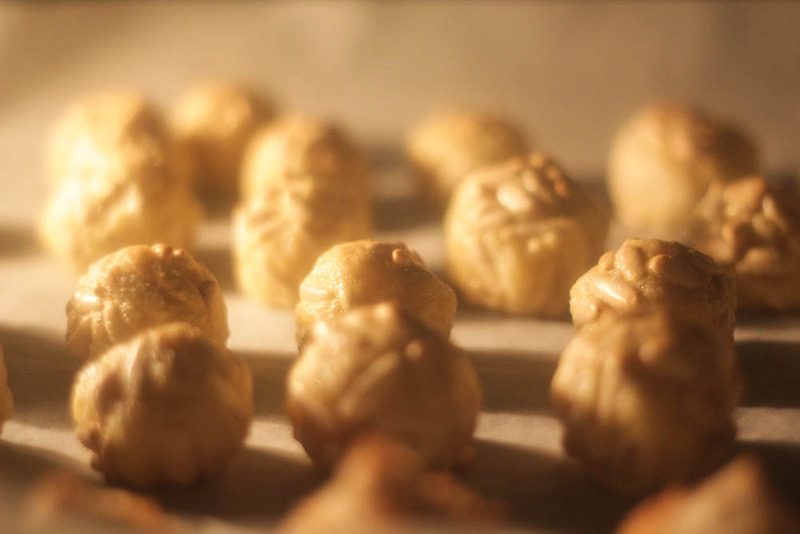 They don’t have to be perfect little balls, they can have an artisan flare, it’s all good. 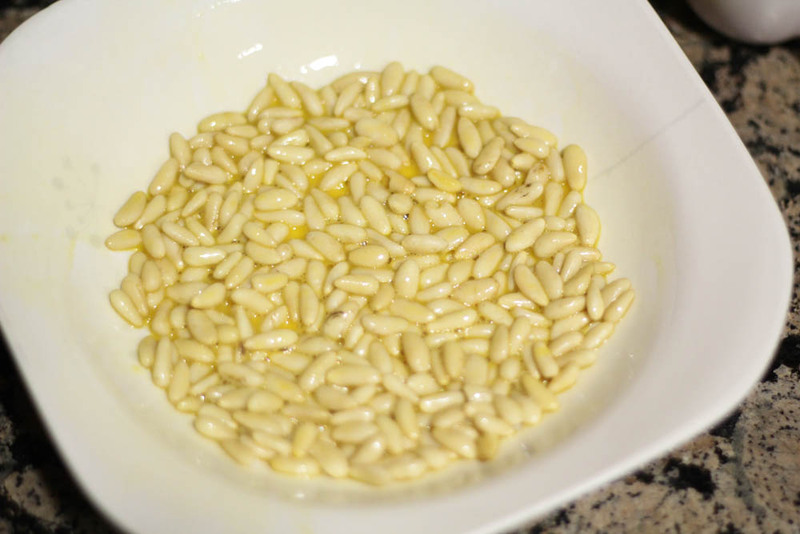 In another bowl, -a small one- beat the two eggs and mix them with the pine nuts. 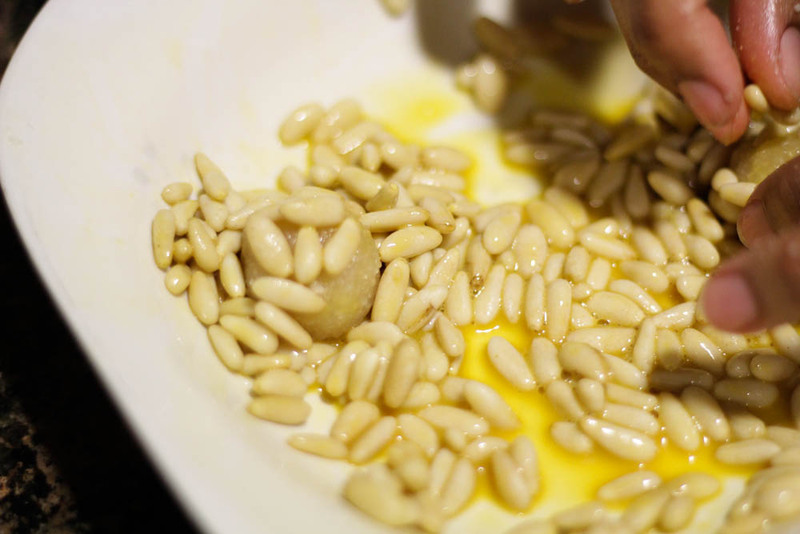 Use the pine nuts to cover the dough balls. 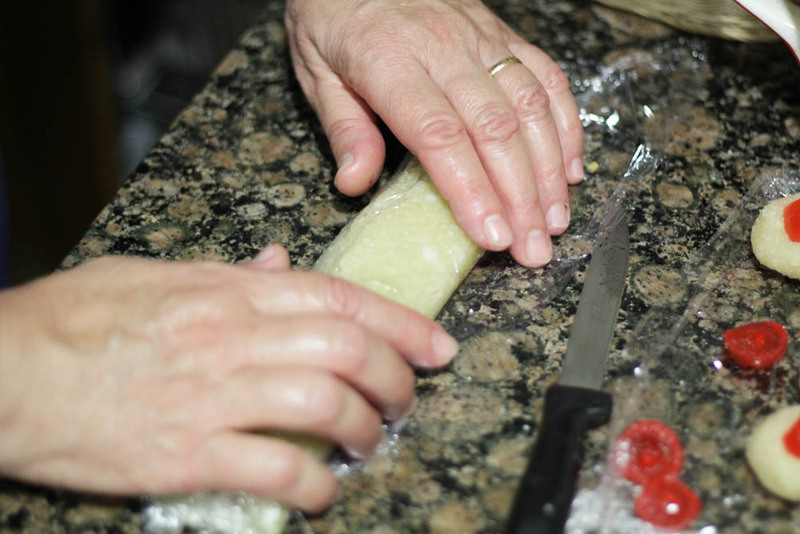 And press them in with your fingers. Place them to on a baking sheet/tray. 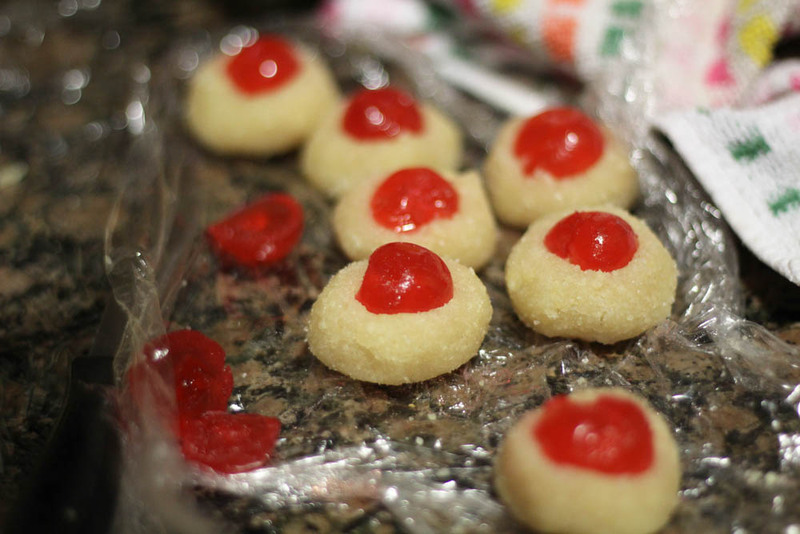 Cut the cherries into halfs and use them to top some of the dough balls. 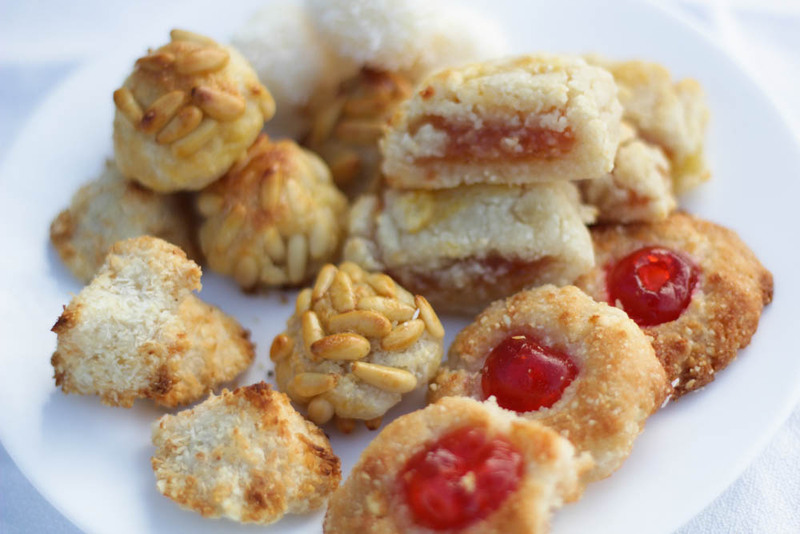 Let them hang out with the rest of the panellets. 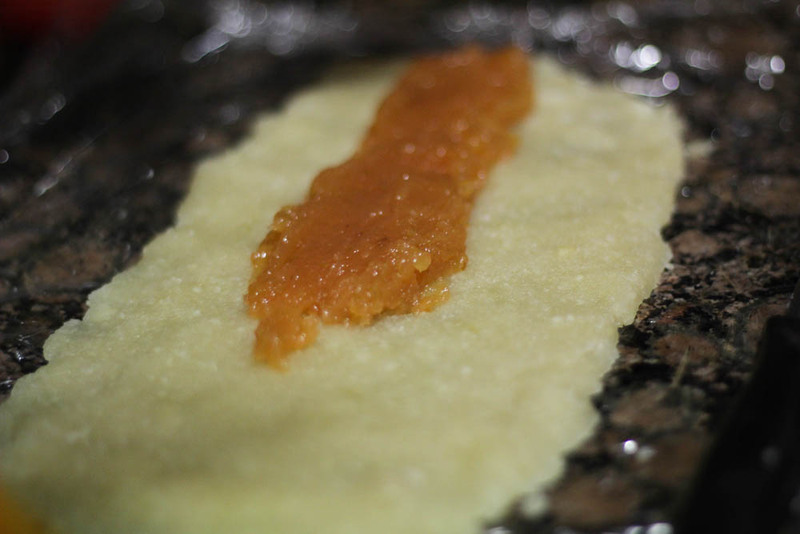 On a flat surface with plastic paper lay some of the dough you set aside in a rectangular shape, smear some membrillo in the center, this is going to be the filling. 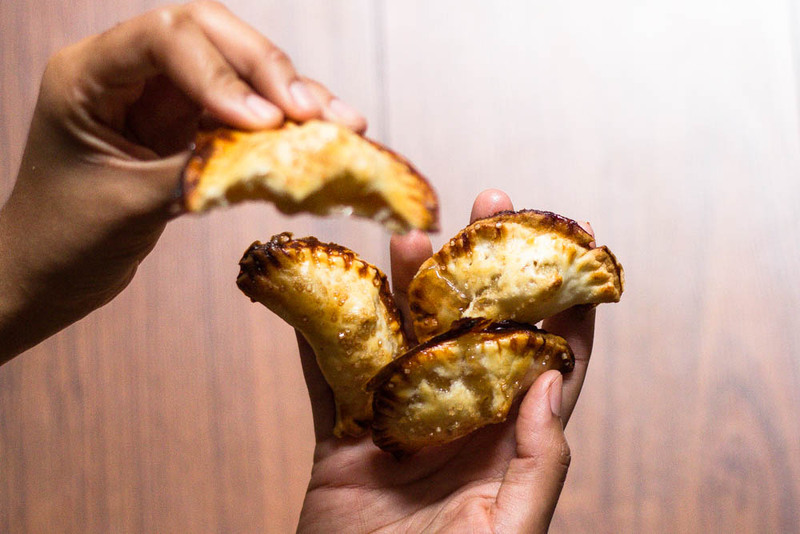 Mix the shredded coconut with the rest of your dough and make little cone like shapes, put them with the rest of your sweet delights. 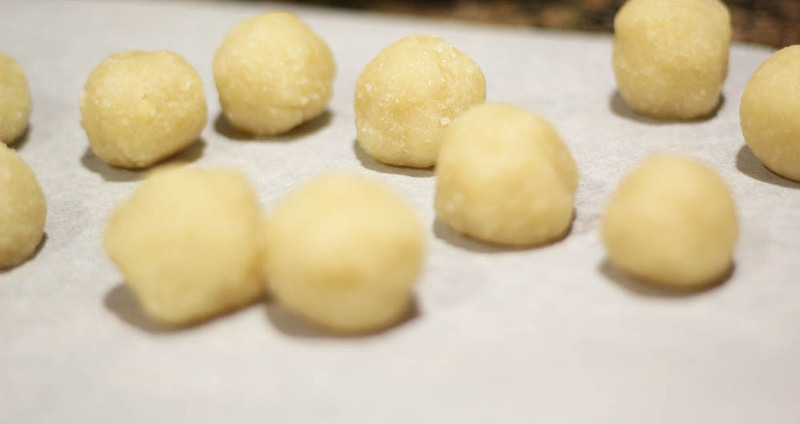 Now all you have to do is pop these sweet little babies in the oven and bake for about 10 minutes until golden. 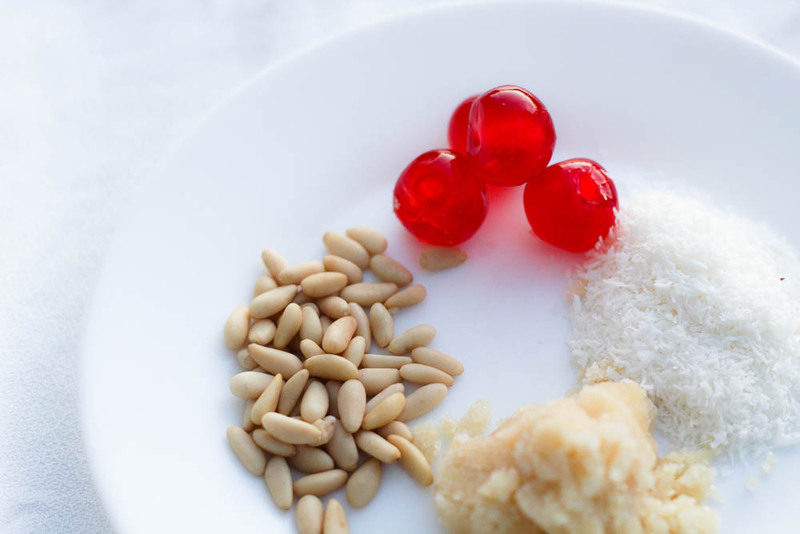 Your kitchen is going to smell like the sweetest almond festival ever! After they’re perfectly baked, let them rest and cool off for a while. 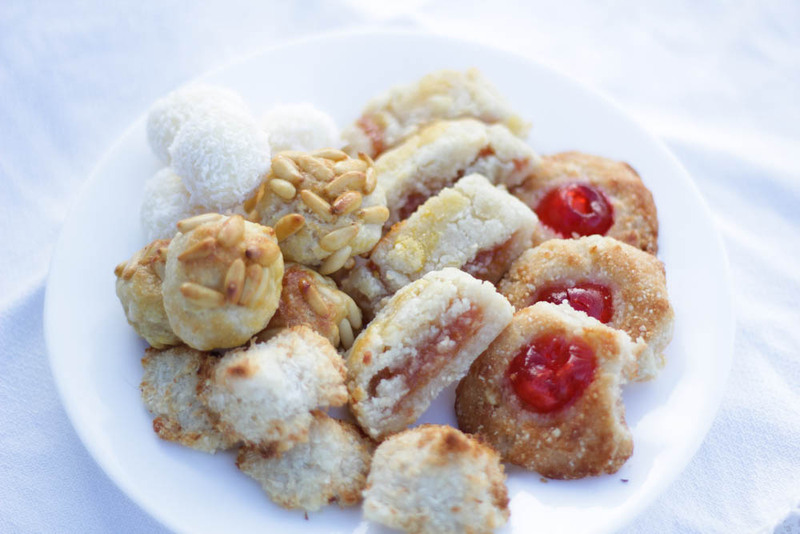 Enjoy them with coffee, tea, sweet wine like Moscatell or all at once! Stuff your face why don’t you! Learning how to make this was particularly relaxing for me. 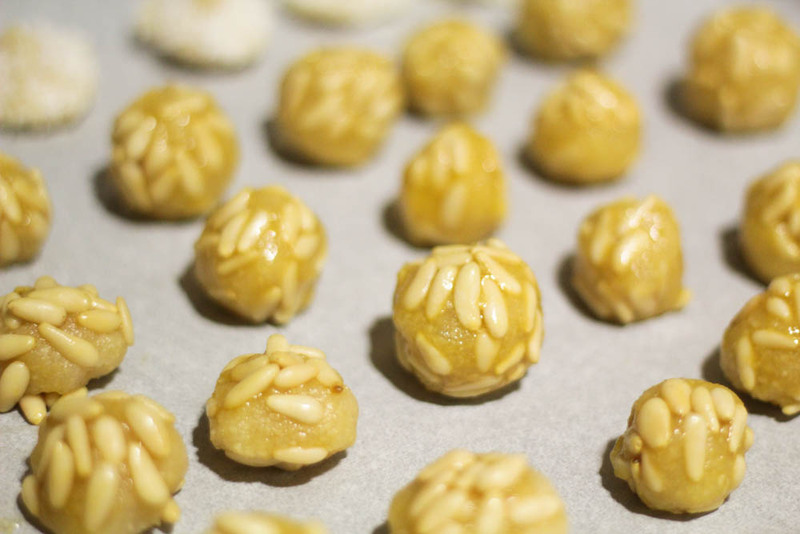 Trying to attach the pine nuts to the almond dough can be difficult, but for me, caring for each little piece of dough can be really therapeutic. Lourdes (Marc’s mama) didn’t hesitate to remind me that there’s no level of precision needed, they don’t have to be perfect. 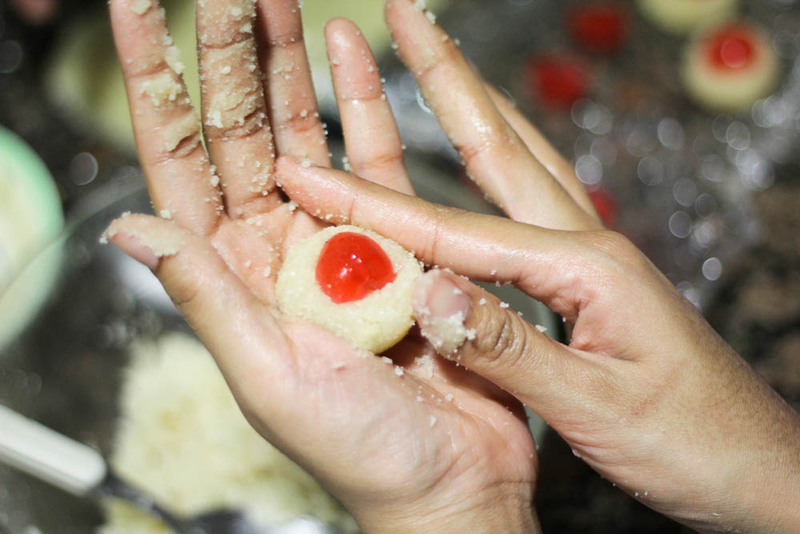 Which took me back to the memories of me as a little kid learning how to bake cakes with my mom. 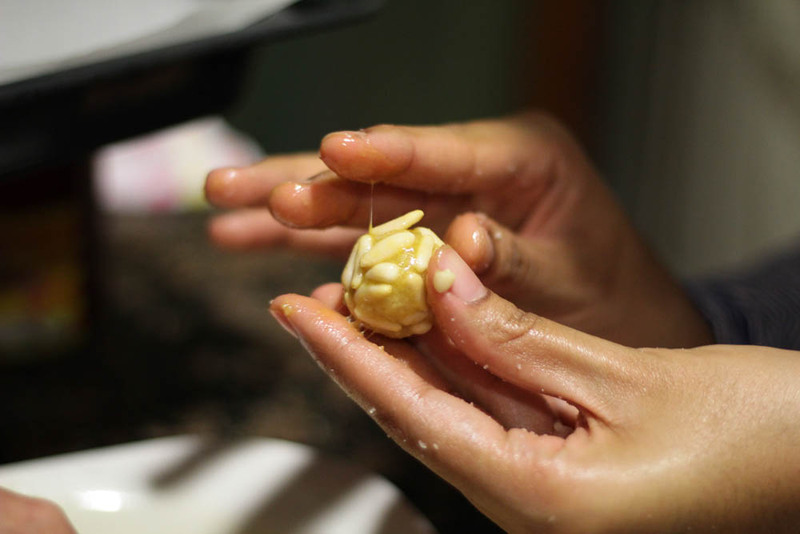 Sure, baking is a science and adding the wrong amount of anything can result in a pastry catastrophe, but at the same time baking with family is more about the experience; making something sweet together. Forget about the perfection and the nitpicking. Crafting treats for the rest to enjoy is the moment most enjoyable rather than eating them afterward. Sure, I love to eat, but not more than I seeing loved ones enjoying what you’ve just created. That’s the real reward!